Formerly worked for Johns Hopkins Bayview Medical Center, which houses an abortion training program. 3100 Professional Dr. 4201 W Michigan Ave.
Former abortionist at: Johns Hopkins Bayview Medical Center -- Family Planning Dept. Pro-Life Leaders Confirm that Planned Parenthood Kalamazoo Was Involved in Patient Death - 8/31/2016 Chilling 911 Call: Mom Finds Daughter “Cold as Ice” After Abortion - 8/10/2016 State of MI, license verification - Laura Denise Castleman State of MD, expired license (Note Johns Hopkins Med Center address) - Laura Denise Castleman (search by name) NAF abortion training report - Dr Laura Castleman cited as abortion training faculty. See page 2. "Woman Centered Abortion Care" abortion training manual - Dr. Laura Castleman, co-author "Buccal misoprostol as cervical preparation for second trimester pregnancy termination," - Dr. Laura Castleman, co-author Laura Castleman previously worked at Johns Hopkins Bayview Medical Center. See primary practice address on MD medical license verification. Filed March 17, 2017. Suit for wrongful abortion of wanted child due to misdiagnosis. Defendants' witness list in malpractice suit against defendants including Laura Castleman. Abortionist Laura Castleman is sued after writing a prescription for patient Cree Erwin, who died from a fatal botched abortion at Kalamazoo Planned Parenthood. See page 3. Abortionists Vanessa Dalton and Laura Castleman write a joint piece on manual vacuum aspiration techniques for abortion procedures. Report from National Abortion Federation on international abortion training program. Dr. Laura Castleman named as abortion training faculty member. See page 2. "Woman Centered Abortion Care" abortion training manual. 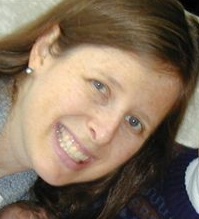 Dr. Laura Castleman, co-author.